For many, the new year brings anticipation on what’s to come; the planning of change, the listing of goals, and how to better connect with your community. The team at NexSpring is doing the very same thing. How can we better serve our clients in 2019? How can we provide more than a home loan? We have a knowledgeable staff, an excellent set of tools and technology, and the capacity to do so much to help our clients. When talking about this resolution, we discovered a common theme. By the time our customers get to us, they are already frustrated and stressed with the home buying process. Some have been confused by shopping for rates, some have gone to several people to help with their credit, some haven’t found the right realtor for their needs, and some have tossed and turned at night trying to figure out what they can afford. There are so many possible frustrations in the home buying process. When we began NexSpring, these are the exact things we wanted to help our customers to avoid. So our resolution for 2019 is to communicate that we don’t just want to provide a mortgage (although we LOVE doing that), we want our clients to “Start with NexSpring” when they begin home buying process! We can help you every step of the way. Worried your credit will keep you from being a homeowner? Start with NexSpring. We work with a variety of credit repair experts that give you the best advice on the steps you need to take to repair your credit and to live out your dream of becoming a homeowner. Not sure what you can afford for your new home loan? Start with NexSpring. We have experienced Mortgage Advisors on call who will help analyze your financial situation and start you on the path to success. The best thing is this can be done in person, in the comfort of your home, or wherever your life takes you. After a discussion about your financial situation, your Mortgage Advisor will get you pre-qualified so you know exactly what to tell your realtor you want to spend. Speaking of Realtors, not sure who will be the best fit for you? Start with NexSpring for that too! Our Mortgage Advisors have partnered with only the best Realtors to help guide you in purchasing your home. We will work with your Realtor to ensure a smooth transaction from start to finish. Worried about who has the best rates? You guessed it, Start with NexSpring. We shop rates and fees for you to find the best price. This is one of the ways our technology sets us apart from other lenders, and a unique feature of being a mortgage broker. You’ll receive a variety of rates from which to choose, and your Mortgage Advisor is right there to answer any questions as you decide what is best for you. 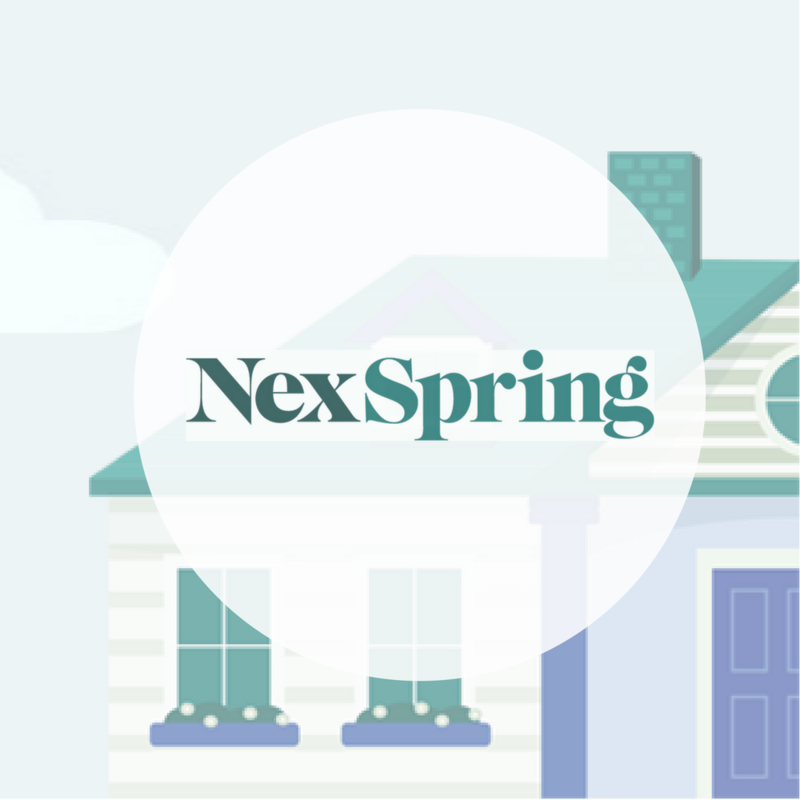 These are just some of the reasons why you should “Start with NexSpring” when buying a home. We are truly the simplest approach to getting into your new home. Providing online home loans for customers in California, Colorado, Illinois, Florida, Michigan and Missouri (and more coming soon – check our website for states we are currently licensed in). ‹ PreviousIs a Reverse Mortgage Right For You?